Melinda Kucsera: I’m an author of fantasy books and short stories. In my other life, I’m an IT project manager for a scholarly publication. Sharmishtha Basu@ Indie Adda: A bit about your book? Melinda Kucsera: Secrets threaten, but magic kills. Plagued by sanity-twisting magic, Sarn must unravel a deadly mystery. But he’s prevented at every turn because his life is not his own. Haunted by one of the victims, Sarn must find out what happened before the ghost drives him mad. As plans collide beneath ensorcelled boughs, one thing is certain. 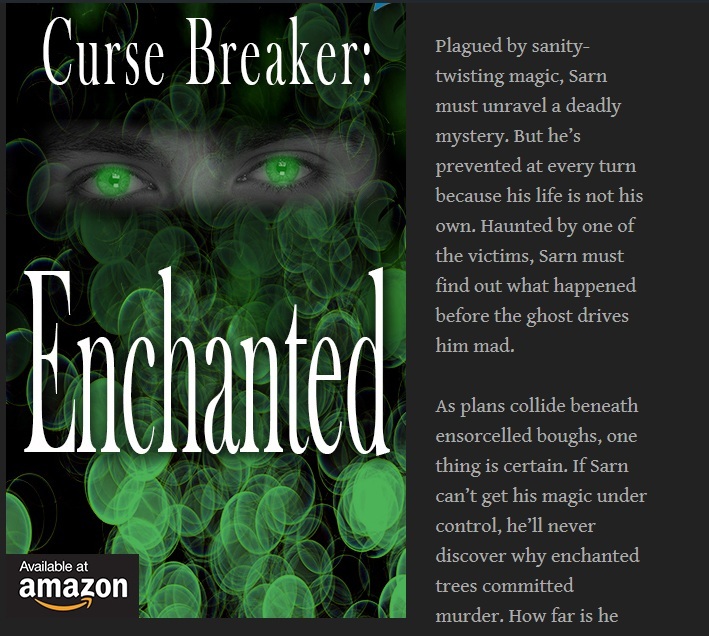 If Sarn can’t get his magic under control, he’ll never discover why enchanted trees committed murder. How far is he willing to go to find the answer? The search might cost more than his sanity. Exposing the truth might claim his life and destroy the secrecy protecting his son from a killer. Something lurks in the enchanted forest and its sights are set on Sarn and the magic in his blood. Sharmishtha Basu@ Indie Adda: Is it your first book? Melinda Kucsera: First in a new series, Curse Breaker: Enchanted is a fast-paced, character-driven fantasy tale with a murderous twist. Sarn’s story unfolds over three action-packed days in his double life leading to a breathtaking finale. Sharmishtha Basu@ Indie Adda: How does it feels to get published? Melinda Kucsera: Getting published is only the beginning. The real struggle is to be read. So I really appreciate you taking the time to interview me. 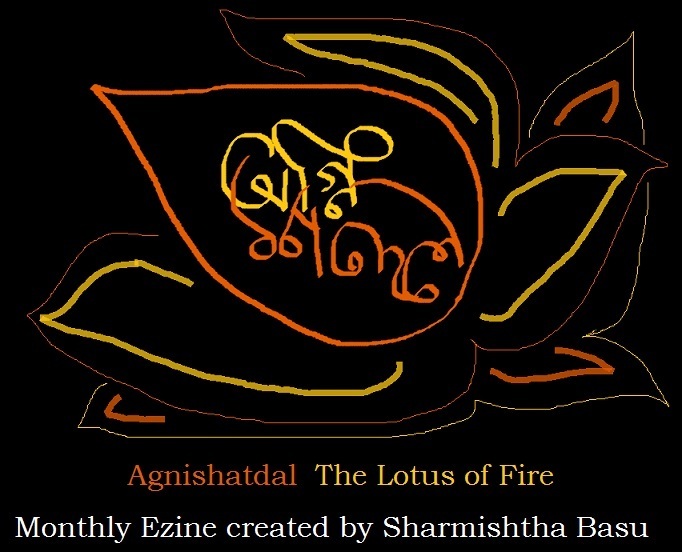 Sharmishtha Basu@ Indie Adda: Anyone following it real soon? Melinda Kucsera: Curse Breaker: Faceted will release in the first half of 2017 followed by Curse Breaker: Jousted in the second half of 2017. Nailing down release dates is hard when you spend 80% of your time working for someone else on other projects. Thankfully, both stories are 80% written. Sharmishtha Basu@ Indie Adda: Any tips for wannabes? Melinda Kucsera: Create the best book possible. Pay for a beautiful cover. Get a professional edit. Ask your peers to read the book. Build your platform. Do all of this BEFORE you publish. If you have an audience to market to, you are more likely to succeed. I didn’t know this beforehand. Now I am scrambling to build an audience. Sharmishtha Basu@ Indie Adda: What if we want to read more of your works? Sharmishtha Basu@ Indie Adda: How can we buy this fantastic, tempting book? Thank you! Can you hyperlink my website and my facebook page so they click through? Also, Can I provide a better lead image? The text is cut off. Let me know where to send it and I’ll shoot it over to you this weekend. for some reason known to my internet service provider it muddles up things if I do that, it acts bizarre. often I have to delete the http from the addresses. I have stopped experimenting! you can send me anything you want to include in the post. in the email id of course!